Get Going Live! focuses on getting younger disabled people, novice drivers and individuals with a newly acquired medical condition behind the wheel. Free admission and accessible parking. The William Merritt Centre, based in Leeds and Sheffield, is one of twenty independent organisations, many with satellite centres, which offer professional information, advice and driving assessments for people seeking assistance with mobility. Overseen by the charity Driving Mobility, all centres are staffed by Occupational Therapists as well as Approved Driving Instructors so that safety for drivers with injuries, disabilities or restricted mobility is maximised. As well as conducting assessments on behalf of the DVLA, Motability and healthcare professionals, Driving Mobility accepts self-referrals. Get Going Live! was previously a popular feature of the national Mobility Roadshow which was held annually for over thirty years until 2017. Visitors to this relaunched event will be able to test drive a range of accessible and adapted vehicles around a dedicated test track, in safety with qualified specialist instructors. Teenagers, from the age of 14, will be able to try assistive driving for the first time and explore suitable options for accessible motoring. The Leeds event will also provides useful opportunities for individuals with existing or progressive conditions, such as Multiple Sclerosis, Parkinson’s and Dementia, to explore safer driving options and receive independent and professional guidance. EXHIBITOR NEWS: Thanks to our long-standing working relationship with the William Merritt Disabled Living Centre, Alfred Bekker API Ltd are proud to have been invited to attend the AccessAbility Exhibition 2018 on 18th October 2018 at the Centenary Pavillion, Leeds United Football Club.Established in 1975, Alfred Bekker is one of the oldest mobility companies in the world and although our product designs have altered over the years, our commitment to enabling people with disabilities to maintain their independence has not changed. This is why we constantly review and re-develop our products, to keep up with our customer’s needs as well as the technological advances made in the motor industry in general. Visitors to the AccessAbility Exhibition 2018 will have the opportunity to see some of our new products, which were added to our range from July 2018, as well as get advice and information on our complete range of driving adaptations and wheelchair accessible vehicle conversions. 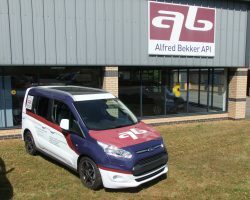 For more information, please contact us on info@alfredbekker.com or call 01377 241700. EXHIBITOR NEWS: Brig-Ayd Controls Ltd to showcase assistive driving adaptations at William Merritt Centre’s Get Going Live! Leeds event.Brig-Ayd Controls Ltd is delighted to be exhibiting its assistive driving adaptations at the William Merritt Centre’s Get Going Live! event, taking place within the wider AccessAbility exhibition. 18th October. 10am – 3pm. Centenary Pavilion, Leeds United Football. LS11 0ES. The second in a series of free-to-attend regional Get Going Live! exhibitions, attendees will be able to safely test drive a range of accessible and adapted vehicles around a dedicated test track with qualified specialist instructors. The event will provide the opportunity for visitors, including teenagers from the age of 14, to try adapted driving for the first time and explore options for accessible motoring. Alongside test drives, visitors will have hands-on opportunities to explore vehicle adaptations and assistive driving products from Get Going Live! and AccessAbility exhibitors, such as Brig-Ayd Controls Ltd.
Based in Hertfordshire, Brig-Ayd Controls Ltd is a family run business that has been designing adaptations for vehicles for the disabled since 1975. 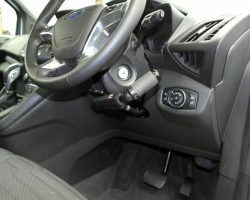 The company has helped thousands of disabled drivers to drive independently using hand controls, left foot accelerators and hoists. Since the introduction of its first products, the company has continued to design and redesign to provide more streamlined and user-friendly products, alongside bespoke adaptations suited to the individual. Brig-Ayd is passionate about providing the right product for its customers and will be happy to provide advice and individual demonstrations to visitors of all ages at Get Going Live! 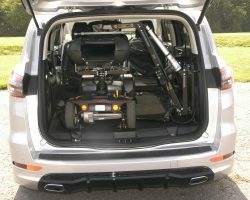 Driving for disabled children, teenagers and adults. This Event is FREE and there is free parking onsite too.